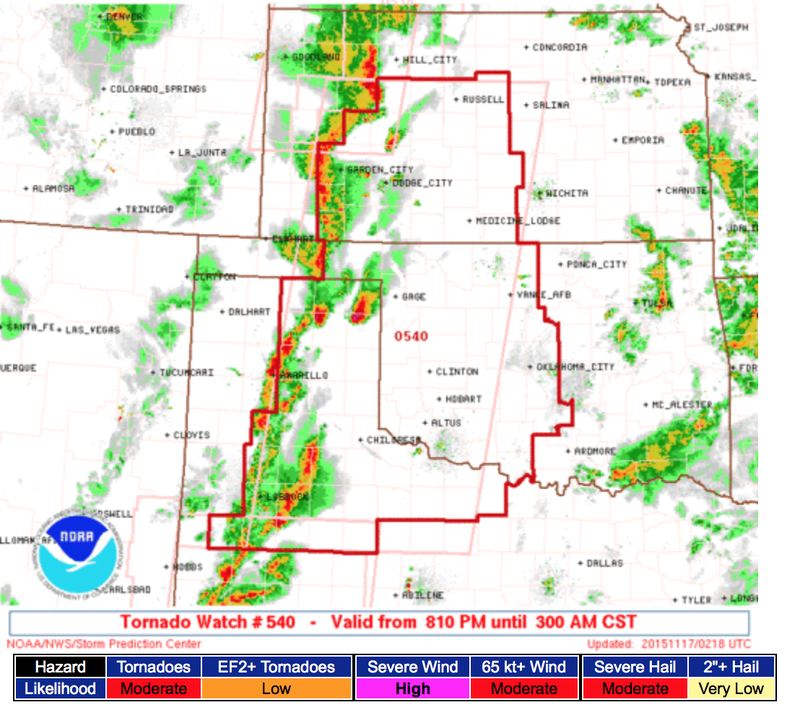 The NWS has issued a tornado watch for a large part of the central and southern Plains region. Please note the risk of tornadoes is "moderate" and severe thunderstorm wind gusts (≥58 mph) is "high" and gusts above 75 mph is "moderate." Wichita is not included but Oklahoma City, Wichita Falls, Dodge City and Childress are.